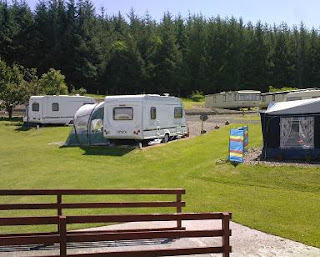 Mount View Caravan Park is on the outskirts of the village of Abington, close to the River Clyde. Mount View Caravan Park is ideally situated for cycling and walking. The surrounding countryside is unspoilt and is ideal for bird and wildlife watching. Fishing is available on the River Clyde. Fishing lakes are also nearby in Moffat & Biggar. Golf can be played at nearby Leadhills. At Mount View all the Touring pitches are hard standing, level and spacious, making them suitable for motor homes and trailer tents as well as touring caravans. All the pitches have electric and aerial hook up. The pitches are all surrounded by generous grassy areas, with trees breaking up the space and enjoy views of the Clyde Valley and surrounding hills. There are two grass sections designated for tents with the use of a picnic bench. Mount View Caravan Park is a five minute walk from the quaint village of Abington. The village is located on the Clyde Valley tourist route and offers a local shop to cater for most needs and a pub for those special occasions or just a quiet drink.